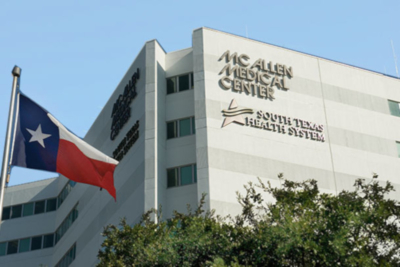 McAllen Medical Center, part of the South Texas Health System, is the first hospital in Hidalgo County designated as a Level II Trauma Center. Patients who come to the Level II Trauma Center are less likely to transfer to another facility for further care. The designation by the Texas Department of State Health Services was achieved following program verification by the American College of Surgeons. It was a requirement that McAllen Medical Center meet the essential criteria that demonstrate trauma care capability and institutional performance. The Trauma Designation Rules classify both Level I and Level II centers as Major Trauma centers. Patient care delivery requirements are the same for both. McAllen Medical Center sees 33,000 emergency department visits each year. Additionally, it has a mortality rate that is lower than both the state and national average. The center has 24/7 board-certified trauma surgeons immediately available to serve the Rio Grande Valley. This state designation is valid for a three-year period and expires in February 2022.